A two-letter change in the name of an ISIS member allowed him to live free in Australia. AN Iraqi refugee who arrived on Christmas Island six years ago and was granted a visa to stay in Australia has been placed back into detention after it was discovered he was actually an ISIS member. In an astounding slip by authorities, just a two-letter change in the spelling of the man's name allowed him to live free on mainland Australia including in Melbourne and Sydney for one year before he was taken back into custody. But in a further stunning rebuke for our intelligence agency ASIO, the man is now successfully fighting his jailing and planned deportation through the courts on the grounds only eight of the nine aliases he used were formally put to him. News Corp Australia understands the man, codenamed BSX15, is currently languishing in a NSW jail as his lawyers continue to seek his release through the Federal Court requesting his security threat assessment be quashed. He has already won the right to appeal with a judge finding ASIO did not afford him procedural fairness even though he was deemed a direct or indirect risk to national security. Home Affairs Minister Peter Dutton has declined to discuss the case. 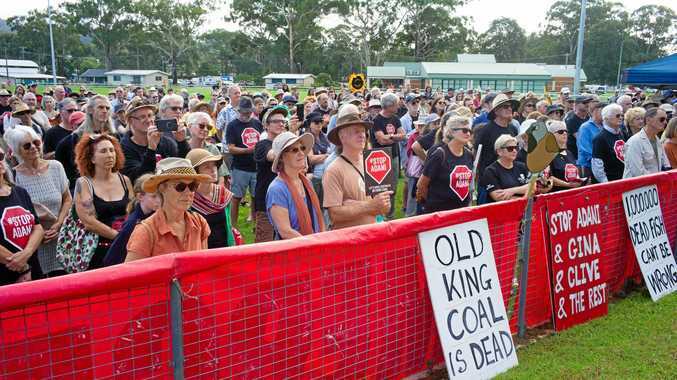 The court further ordered all his legal appeal costs be picked up by the Australian taxpayer. Home Affairs Minister Peter Dutton declined to discuss the case or answer a list of questions from News Corp Australia. 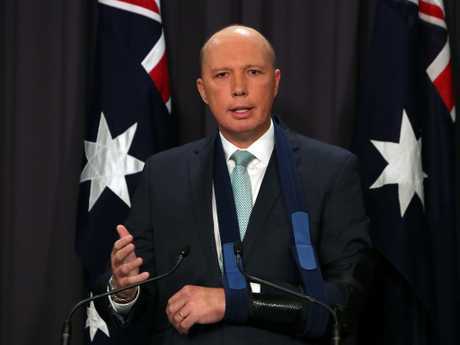 "We do not comment on individual cases, but the Minister - where possible - would seek to remove from Australia any non-citizen who poses a threat to Australia or the Australian people," a spokesman for Mr Dutton said. Home Affairs also declined to comment stating: "The Department of Home Affairs does not comment on individual cases due to privacy legislation. 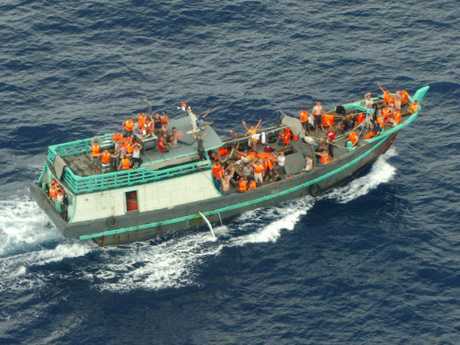 Non-citizens who do not hold a valid visa will be liable for detention and removal from Australia as soon as reasonably practicable, following the resolution of their migration matters." In a briefing note to the minister, ASIO just said its officers had "carefully considered this judgment" by the Federal Court about its apparent procedural failure ruling and would look at its own practices. 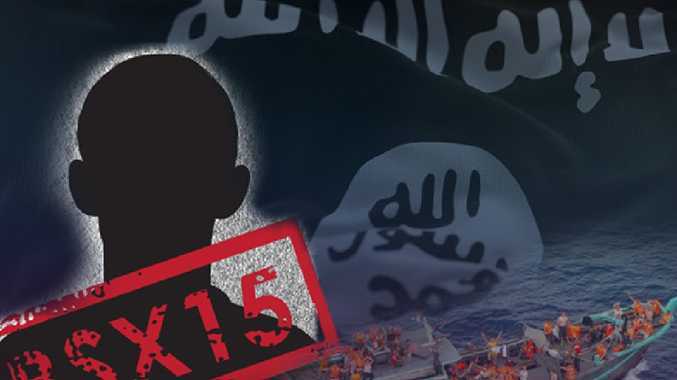 BSX15, who the Federal Court heard his real identity was likely to be Islamic State member Muthanna Najm Abdullah, arrived by boat to Christmas Island on October 31, 2012. Shortly after his arrival he was granted a bridging visa. He claimed he was a Shia Muslim of Kurdish descent from Mandali on the border or Iraq and Iran and his family had been persecuted by dictator Saddam Hussein because of their Shia beliefs. BSX15 arrived by boat to Christmas Island in October 2012. A year later in October 2013 he went to Melbourne's immigration offices to be interviewed, through a translator, at the request of ASIO agents who had suspicions about his true background. Eleven hours of interview took place over three formal sessions. It was about his time he also got married but strangely used a Sunni imam although when questioned he said he was not religious at all and didn't care Sunni or Shia married him, had not visited a mosque in Australia nor even knew how to pray. At the end of one of the ASIO meetings he was placed into custody after his true identity was revealed. He countered and in October 2015 formally applied for a protection visa. "ASIO assesses (name redacted) has made deliberate efforts to hide, minimise and obfuscate his terrorist connections in the course of his security assessment and has been deliberately untruthful with regard to important information about his background, activities, associations and ideology which may be prejudicial to his security assessment," an ASIO report concluded. However much of his classified "credible, significant and adverse material … in sufficient detail" was not put to BSX15 to enable him to make a meaningful submission to counter their claims. Specifically a list of nine aliases, ranging in length from two words to five words, that the man admitted he had used did not include the name or claim that he was believed to be ISIS member Muthanna Najm Abdullah. The link between BSX15 and what classified intelligence identified as ISIS member Muthanna Najm Abdullah was not made earlier by authorities because of just two missing letters - an extra 'n' and an 'i' when he filled out his identity paperwork. Last July the Federal Court ruled had ASIO asked whether he was this man, a different outcome may have been reached and on this basis declared him the right to appeal the findings of his security assessment, which have now been set aside, pending further legal action.